Chitin is nitrogen containing poly saccharides mainly found in the outer skeleton of crabs and shrimps. It is the main source of production of chitosan. 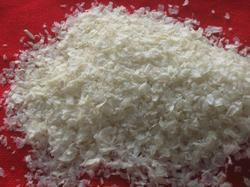 Chitin is a raw material for manufacturing of Glucosamine Hcl, Glucosamine Sulfate and Chitosan. Chitosan can be manufactured on furthur processing of chitin.